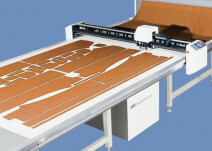 For high quality cutting of single-layered textiles and samples, with any movement prevention. Numerous optional accessories on request. We provide individualized consultancy and solutions.